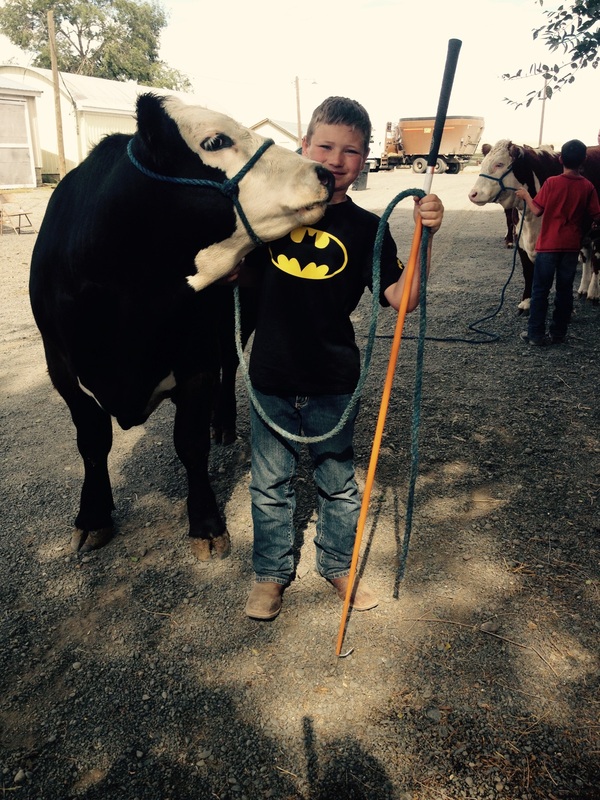 Kaine can’t wait until next year when he can have a steer. This is one of Anna’s steers, “Darlo,” that’s from BB Cattle Co. Yes, he already has at least one picked out.